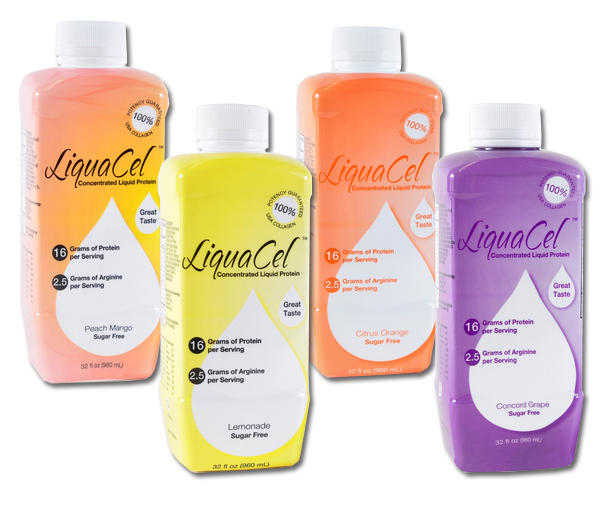 LiquaCel Liquid Protein is a great tasting hydrolyzed collagen liquid protein containing 16g of protein and 2.5g of arginine per every serving. 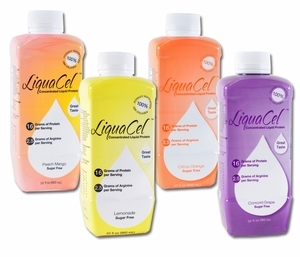 LiquaCel Liquid Protein Supplement contains all essential and nonessential amino acids. It is sugar free and gluten free. LiquaCel has a nectar consistency. 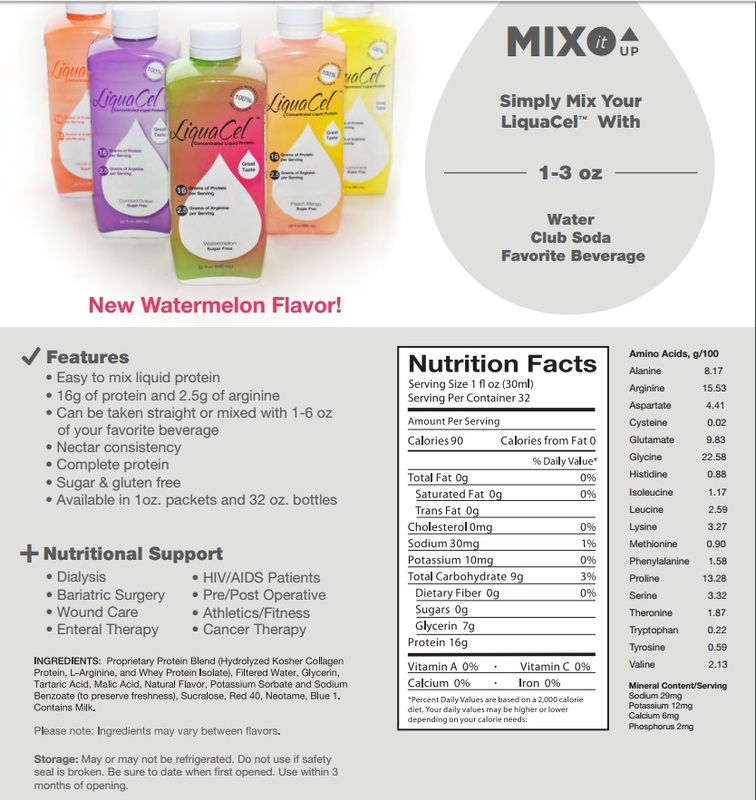 It can be taken straight or diluted with 1 to 6 oz of your favorite beverage. Available in 4 flavors. Each bottle is 32oz.